Resurrection Festival, one of our absolute favorites, dropped the first names for the 2018 edition earlier today. The Festival will take place in Viveiro, Spain, on July 11-14. 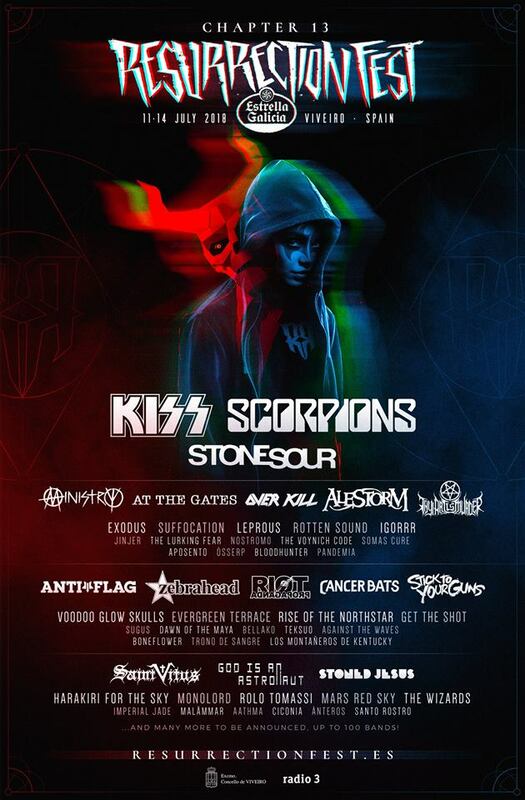 Kiss, Scorpions and Stone Sour will be headlining whilst At The Gates, Jinjer, Thy Art Is Murder, Cancer Bats, Stick To Your Guns, Rolo Tomassi and more that 100 other bands will cover the opening slots. We are really looking forward to the next announcement!